This is the third in a series of political risk and prediction blog posts derived from Dr Aziz's upcoming political comic book, The Global Kid (note: 100 percent of sales will go to global education non-profits that help youth reach their potential). The Aug 16 demonstrations in Brazil marked the third major burst of country-wide protests this year calling for President Dilma Rousseff's impeachment. Yes, these protests were relatively modest (175,000 citizens) compared to the ones in March (1 million) and April (650,000); plus there were over 70,000 citizens protesting for government on Aug 20. 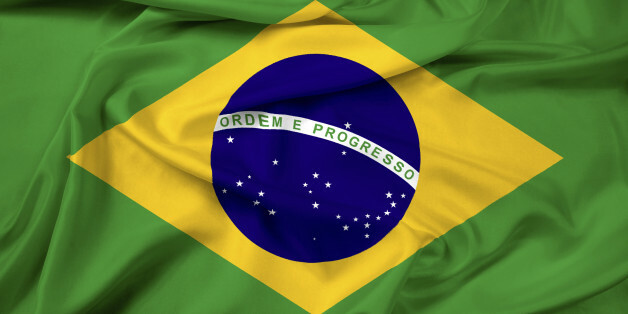 But the underlying issue -- the corruption scandal involving government-controlled oil giant Petrobras that has also helped usher Brazil into a recession -- remains unresolved. Of course, it's worth nothing that there has been some progress to fight corruption -- 125 people have already been charged, including speaker of the lower house of Congress Eduardo Cunha, in part due to President Rousseff's anti-corruption legislation. But as of Aug 22, President Rousseff herself is also being investigated for allegedly using funds from Petrobras for her 2014 campaign (note: she was Petrobras' chairwoman from 2003 to 2010). Her approval rating is at a record low of 8percent (versus her predecessor Luiz Inácio Lula da Silva's rating of 83 percent in 2011). Perhaps this is why a 2014 Pew Global Survey revealed 86 percent of citizen respondents disapproved of her handling of corruption and 78 percent cited corrupt political leaders as a "very big problem." What we are witnessing is a severe legitimacy crisis in which growing numbers of citizens no longer believe in President Rousseff, her government or her anti-corruption policies. Is there a way forward to ease this crisis, at least in the short-term? The simplest solution, but also the toughest, is to somehow make governance more inclusive. Let increasingly frustrated citizens in Brazil feel they have some influence over how political corruption is tackled. Crowdsourcing new anti-corruption policy - i.e. using the wisdom of a crowd of citizens to make such policy - could be one way to ease the legitimacy crisis (though of course there are a multitude of other problems linked to the five-year economic downturn that must be tackled). COULD CROWDSOURCED POLICY WORK IN BRAZIL? Well, why not? This technological approach to national policymaking was attempted in Iceland in 2013 with its crowdsourced constitution - over 50 percent of the population offered their views through Facebook and Twitter. It didn't quite work out the way we hoped, but it was a start. It did, however, work in Finland with the passage of a new law in 2014 - yes, it was just an off-road traffic law in a relatively stable country in which only 800 citizens participated, but the point is, it worked. And in fact, Brazil has applied crowdsourcing to policymaking before. Consider e-Democracia, a "major electronic lawmaking program" in the country since 2008. It offers "simple web 2.0 tools to allow citizens to interact with lawmakers on specific issues, helping to connect national lawmakers across thousands of miles of geography." It even allows participating citizens to "mark up legislation" and "propose solutions to policy problems" through the platform, and via Facebook and Twitter. Why not recruit a crowd of citizens from each of Brazil's 26 states (plus the federal district) specifically to brainstorm new anti-corruption policy they feel would work better than the current laws? Let's simply ask them what they want. Already, e-Democracia has had success with crowdsourcing less controversial legislation - for instance thirty percent of the text of the Youth Statue Bill was "based on ideas submitted by e-Democracia participants." Obviously, there's a lot to figure out. Could we get protesting citizens to participate at this stage in the country's legitimacy crisis - would they even take it seriously? Or if this crowdsourcing initiative does move forward, would President Rousseff incorporate the results into sensitive anti-corruption policy going forward? And equally important, who would implement it - e-Democracia, another government group, or an outside entity? It's worth investigating. And if the kinks are worked out, crowdsourcing anti-corruption policy with greater numbers of citizens could be an innovative way to start to rebuild the fragile relationship between President Rousseff and her protesting constituents. It could be one of many steps to help Brazil dig itself out of its deepening hole. IF THE LEGITIMACY CRISIS DEEPENS, WHAT'S NEXT FOR BRAZIL? Let's say there is a surge in country-wide protests in the run up to the expensive 2016 Summer Olympics in Rio, President Rousseff is found guilty of corruption and she is then impeached. There might be short-term euphoria about her ousting, but the question is who would replace her? The alternatives are not necessarily going to be any better. And disrupting democracy isn't ideal for a formerly military-run country. Back in March and April, some protesters did call for a coup, but the military was quick to say they were ignoring these "requests." But what if protests escalate and lead to violence on a mass scale? While a hard coup in which the military takes over power to then govern the country seems implausible, a soft coup isn't inconceivable - the military would step in to restore law and order, momentarily suspending democracy. Again, if the protests escalate, some non-state actors may try to take advantage of the growing frustration of citizens. As you can guess, ISIS has already set its sights on Brazil as a potential recruitment pool. One report suggests it has started to recruit young Brazilians to stage "lone wolf" attacks during the 2016 Summer Olympics in Rio. Due to the lack of anti-terrorism laws, there are already concerns about how to go about monitoring such potential threats. Clearly, there are plenty of reasons to ease Brazil's legitimacy crisis as soon as possible.